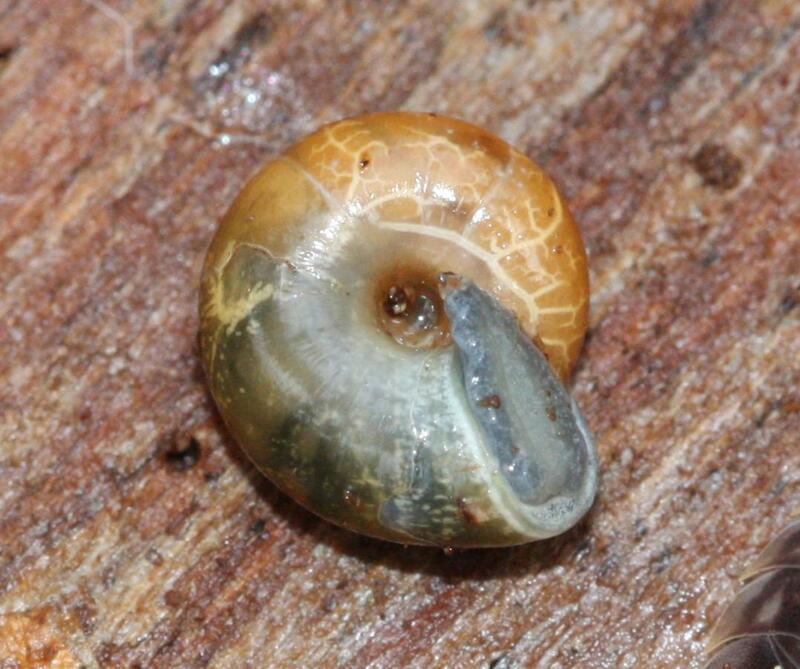 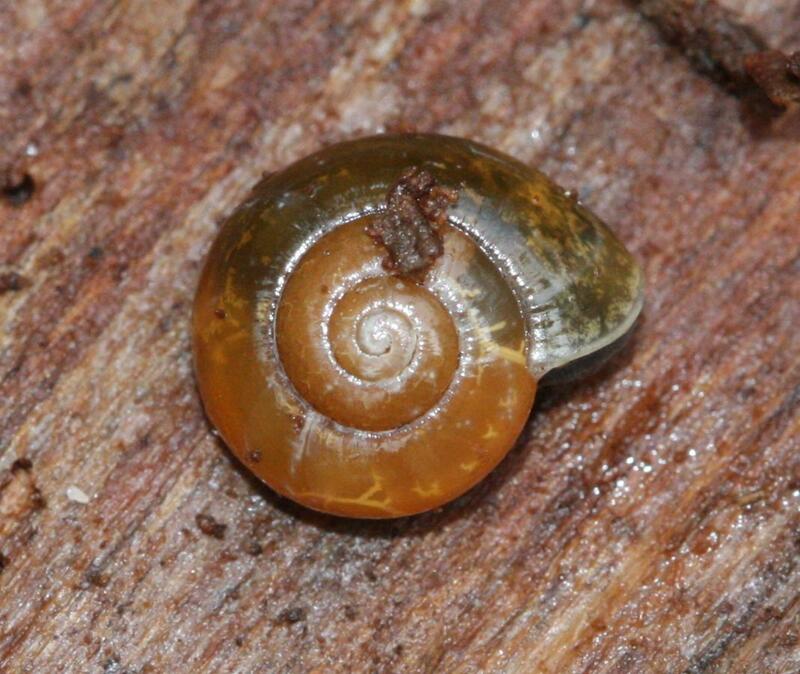 A small (up to 10 mm) land snail sometimes known as the Clear Glass Snail or Waxy Glass Snail. 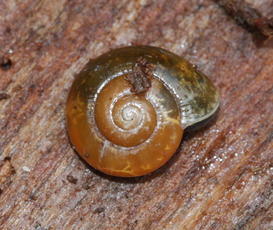 It has an orange-brown, glassy looking shell sometimes with dark mottling and veining showing. 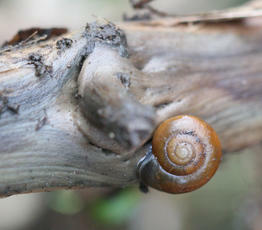 The body is blue-grey. Aegopinella nitidula is the largest of the two British species of this genus, A. pura is smaller and often pale in colour but it can be a rich chocolate colour. 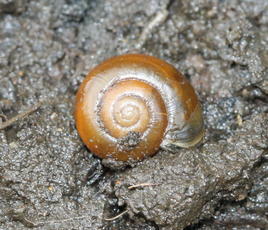 An eccentric body whorl identifies these as Aegopinella.